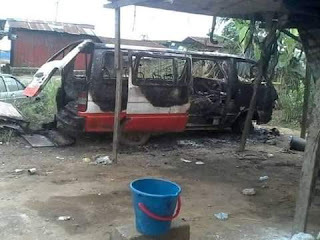 Tension in Rivers state as Fulani terrorist attacks an Akwa Ibom indigenes domiciled area in Obigbo. Our correspondent who witnessed the incident reported that many persons were wounded and undisclosed persons lost their lives. The Nigeria security operatives that were contacted to calm the situation could not help matters, despite lasting for hours. 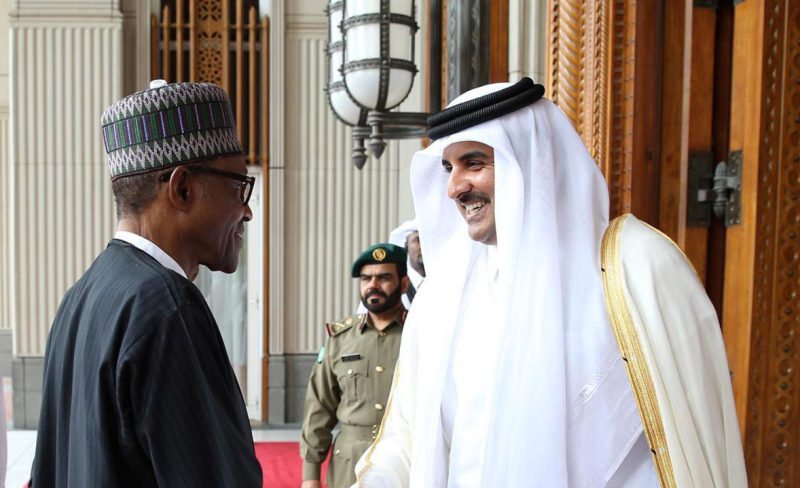 President Muhammadu Buhari and Emir of Qatar, Sheikh Tamim bin Hamad Althani are currently in closed doors meeting at the Presidential Villa, Abuja, Daily Trust reports. The Qatari leader reportedly arrived the forecourt of the Presidential Villa at 12:11pm. Wearing dark ash suit, white shirt, navy blue tie and black shoe, the emir was received by President Buhari at the forecourt. The newspaper reports that after a brief ceremony at the forecourt that lasted for about 30 minutes, the two leaders went into the meeting. The meeting is still on as at the time this report was filed. 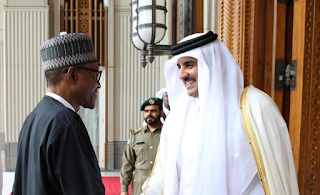 The emir is visiting three years after President Buhari went to Doha, the Qatari capital in February 2016, where he attended a meeting of the Organisation of Petroleum Exporting Countries (OPEC). The emir is expected to return to Doha, the Qatari capital today immediately after the meeting. ENTIRE WORLD PLUG INTO CONFUSION as Pope and Imam Sign “One-World Religion” Covenant? 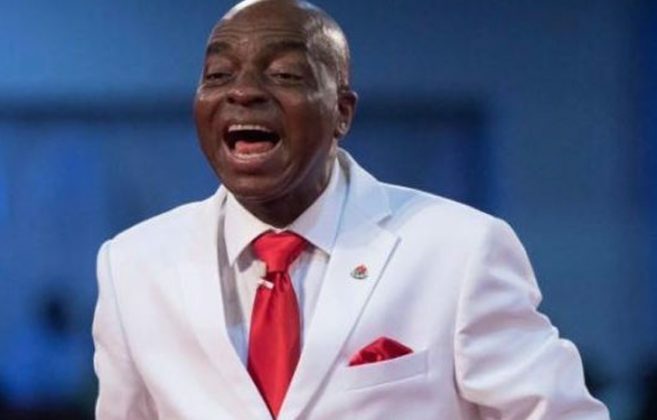 Bishop David Oyedepo, founder, Living Faith Church Worldwide, has blasted Nigerian leaders, labelling them as “intellectually bankrupt” and that they lack capacity, courage and character. Oyedepo, speaking at 20th inaugural lecture of Covenant University in Otta, Ogun State, last Thursday, lamented that: “It is unfortunate that many of our leaders are intellectually bankrupt. “I have often said it that our leaders lack three Cs – capacity, courage and character. Also listen via (Live Facebook and TuneIN on internet). Don't miss out for this wonderful episode of Nnamdi Kanu 20th April broadcast transmitting live on Radio Biafra London. 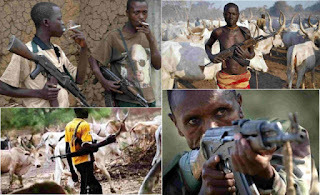 A suspected leader of the bandits responsible for the killings in Zamfara State has vowed that there will be more killings in the state as long as the Federal Government continues to deploy military and other security forces in the troubled area. 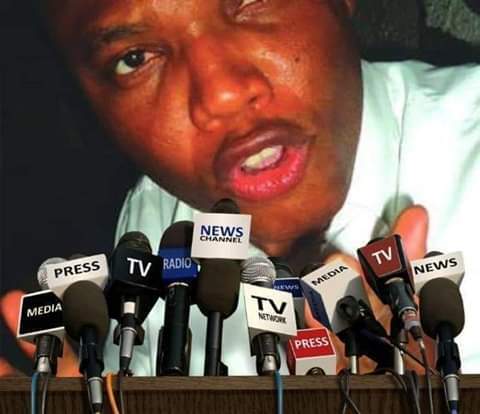 He made this known during a secret conversation with an emir in Zamfara State, a copy of the recording was obtained exclusively by Saturday PUNCH. In the secret tape, the bandit opposed the deployment of troops in their communities, saying it would worsen the crisis. The supspect, who spoke with the emir in Hausa, in the secret recording obtained from a top military source at the Defence Headquarters, Abuja, argued that peace would not reign when “you call the police, soldiers and law enforcement agents to our villages; it will continue to cause more bloodshed”. Although the military source alleged that the emir in the audio is from Zurmi, one of the troubled local government areas in the state, the name of the emir was not mentioned throughout the recording. The Minister of Defence, Mansur Dan-Ali, through his Public Relations Officer, Col Tukur Gusau, on Sunday said the Federal Government had some security reports on some community leaders linked to the bandits killing people in the state. The ministry said the reports “could not be divulged to the public”, noting that the earlier statement by Dan-Ali on some traditional rulers aiding bandits should not be seen as derogatory but as a warning. But traditional rulers in the state, under the Zamfara State Council of Chiefs, last week told the military to name the monarchs aiding the gangsters. They also claimed that the Nigerian Air Force fighter jets bombed innocent civilians in their villages instead of the bandits. 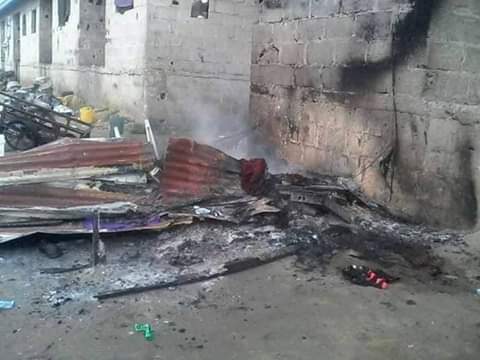 On Wednesday, the traditional rulers released the names of “11 innocent civilians who were killed in air strikes on Dumburum community in Zurmi Local Government Area of the state on April 9”. They listed the victims as Daji Barau, Na Bumburum, Suwaiba Alka, Yar Guru, Maryam Shafiu, Dahe Sule, Dan Kurma, Zaliha Dumburum, Aisha Akilu, Alamin Alka and Fati Gum. The monarchs through the Emir of Bungudu, Alhaji Hassan Attahiru, had called for an independent investigation into the matter to verify their claims. But the NAF on Thursday denied the claims, saying the Chief of Air Staff, Air Marshal Sadique Abubakar, had constituted a panel to investigate the monarch’s claims. Meanwhile, in the secret recording of a dialogue between the bandit leader and the emir, they advocated a peace meeting between village residents and herders or people hiding in the bushes. The bandit said in Hausa, “God has already given you a position (as an emir) and when you talk, people listen. You have some poor masses in the bushes. This violence started happening in our state about six years ago or so. The bandit continued, “You should call your chiefs and bring your people from the bushes and from the village. Anywhere you meet us, advise the people of the community to join hands with the Miyetti Allah association. This land will be peaceful. The bandit continued, “The reason why their bombing will not work is because before their helicopter comes around, information has already reached us. Before the helicopter leaves any base, the information will reach us and even where it will land. If they bomb any place, they will kill only birds and animals which are there. “Also on land, soldiers were sent to attack us. But before they come, information has reached us. We know how we will attack them and know all areas where they will follow. We want you to ban anything vigilantes. The NAF said despite the claims by the emirs, its fighter jets would continue to pound the hideouts of bandits in the North-West until the hoodlums were flushed out. The NAF Director of Public Relations and Information, Air Commodore Ibikunle Daramola, in an interview with our correspondent, said, “We will not take issue with esteemed traditional rulers. But if they say something that is not true, we must correct that. It took a lot of encouragement for the personnel to continue, because they were quite disheartened by the allegations. Troops on Thursday killed seven suspected bandits during a gunfight with the hoodlums in Aljumana Fulani and Ketere villages in Zamfara State. Our correspondents learnt that the troops encountered the bandits while on a clearance operation in Aljumana Fulani and Ketere villages as well as in Kara market in the Shinkafi Local Government Area of the state. According to the Nigerian Army on Friday, the bandits were armed with sophisticated weapons. The military said apart from the seven shot dead, others fled with gunshot wounds, abandoning their camp and logistics, which were destroyed by the troops. Our correspondents learnt that during the gun battle, a soldier was killed, with six others injured. 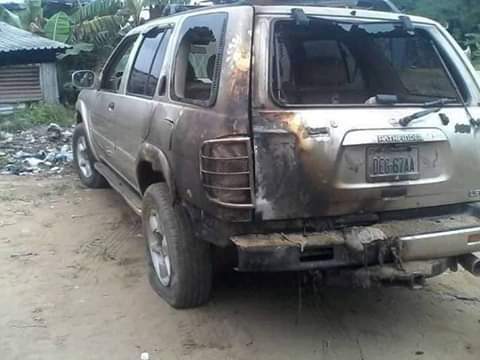 During the encounters, the troops reportedly recovered 934 rounds of 7.62mm ammunition, one AK-47 rifle, one steel chain used by the bandits to restrain their kidnapped victims and seven motorcycles. 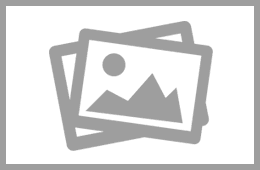 It was learnt that the troops thereafter apprehended three suspected informants of the bandits. 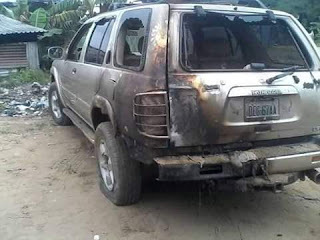 The Assistant Director, Army Public Relations, Maj Clement Abiade, said in a statement, “In continuation of the ongoing Operations Sharan Daji and Harbin Kunama 3, troops of the Nigerian Army Deep Blue Special Forces, Nigerian Air Force component and vigilantes neutralised seven bandits on Thursday. 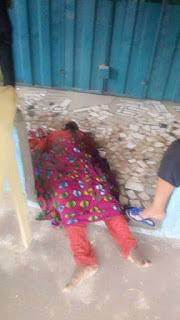 “The bandits were killed during a fierce encounter while on a clearance operation in Aljumana Fulani and Ketere villages. 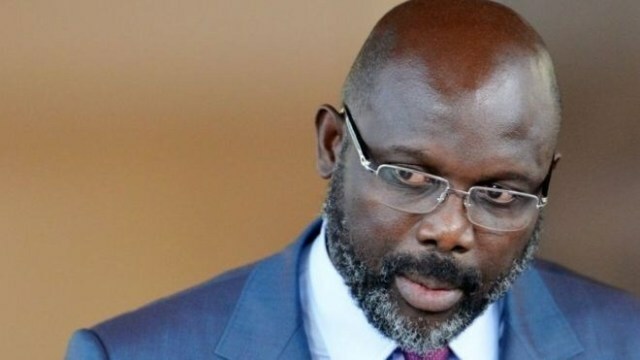 Snakes have reportedly forced Liberian President, George Weah out of office, making him to work from his private residence. It’s just to make sure that crawling and creeping things get fumigated from the building,” Mr Toby said. He made this claim via his official Twitter page on Friday. According to him, the Igbo have refused to bow, tremble and surrender or abandoned their culture, identity, heritage and faith in the face of the persecution. 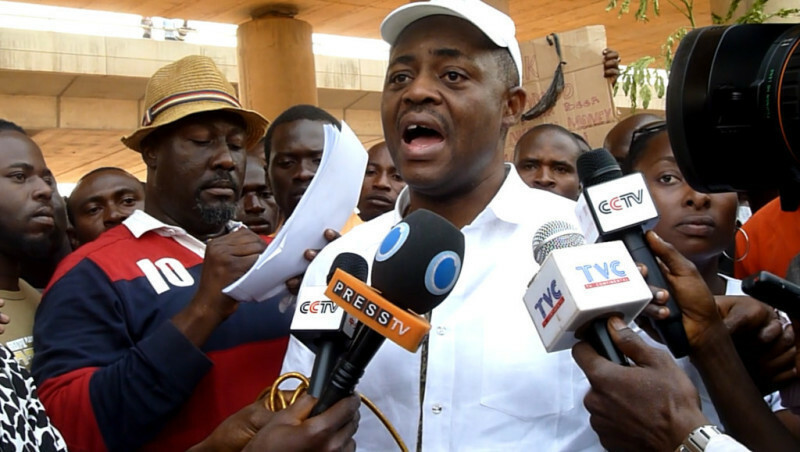 Fani-Kayode wrote, “No tribe in Nigeria has been subjected to as much vilification, humiliation, persecution and genocide as the Igbo.